The Oldest Name in Tattooing and Piercing In Derby !! The most relaxed welcoming and friendliest tattoo & piercing studio. 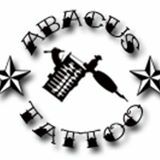 As the longest running Tattoo Studio in Derby, Abacus Tattoo and Piercing Studio offers a wide range of all tattoo styles, piercing, body modifications and Semi permanent makeup. Along with a barbers shop within the studio. Our tattoo artists will work with you to create unique and custom designs or use the designs from our flash. There is always a piercer available in the studio to pierce and we can offer any advice. We also now offer SEMI PERMANENT MAKEUP, that is for eyebrows, eyeliner, lip liner, full lips and lash enhancement so make sure to pop in. Enquire with us to find out our Piercing of the Week!